Bexley College has been relocated to a new campus in Erith, Kent. It will provide state of the art facilities to further the student success. The project has been a 20 million pound investment to regenerate the town of Erith. 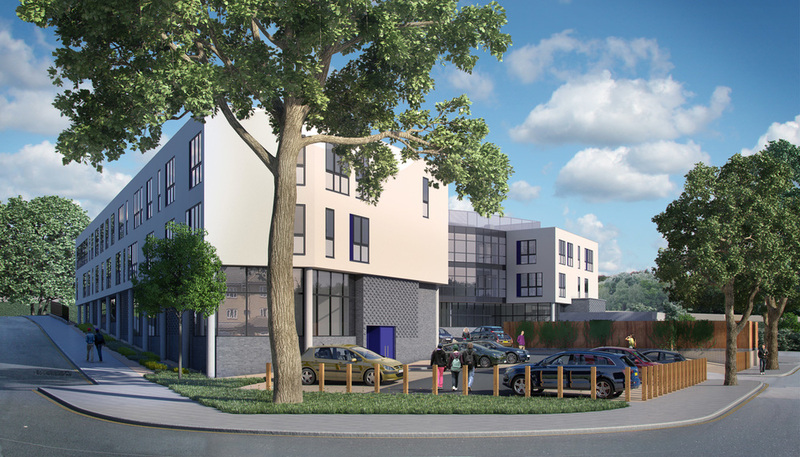 Barrett's have been commissioned to build new homes on the old campus site. Having new modern facilities and the right learning enviroment can vastly improve th quality of learning. The project wasn't completed without many challenges such as no to distrupt the students learning in the old campus while building went underway. The college have a range of students with learning disabilities so a major task was to insure the students would have a secure safety conscious building with essential segregated areas for different types of learning and interaction. The new building provides teaching and administration spaces, these include an atrium area for events and exhibitions, a Learning Resource Centre, offices, common rooms and car parking areas.